DunesWalk Inn at the Furness Mansion is located in the midst of Indiana Dunes country in Porter County, Indiana. 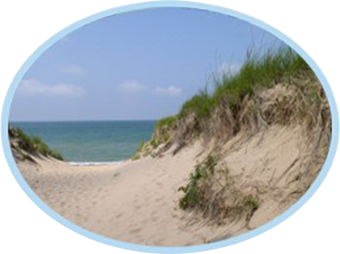 Amid woodland forests and minutes to the beach at the Indiana Dunes National Lakeshore or Indiana Dunes State Park, DunesWalk Inn offers luxury accommodations, a serene landscape and proximity to outdoor activities (hiking, biking, cross-country skiing), shopping, casinos, fine dining, wineries, and much more near Michigan City, Chesterton, and Valparaiso, Indiana and near by Southwest Michigan. Edwin Leigh Furness was born in 1831 in Portland, Maine to a family of sea-farers. After losing both his parents as an adolescent, Furness was caught with “sea fever” and ran away to sail to North and South Carolina, London, Wales and New York. Upon his return to Maine, he studied at South Berwick Academy and proceeded to teach and farm for several years in his home state. Following, he made his way to Illinois, but in 1853, Furness revisited Maine to marry Louise M. Graves. With his new bride in tow, Furness returned to Batavia, Illinois, where he had established a general store and operated a stone quarry. Shortly thereafter, in 1856, the Furnesses made their way to Porter County, Indiana. E.L. Furness was the first agent of the Michigan Central Railroad at Furnessville as well as the first postmaster of the village which bears his name. At Furnessville, he wisely invested in land and engaged in lumbering and farming, focused on the two to three thousand acres in his possession throughout Westchester and Pine Townships. His land reached all the way to the southern shores of Lake Michigan. More information on the history of the Furness Family and Porter County, Indiana may be found at the Westchester Township History Museum in Chesterton. Worth a visit during your stay at DunesWalk! Reach us via the South Shore Line! Explore Chicago to South Bend during your stay at DunesWalk! Call to arrange taxi service from the Beverly Shores or Dunes Park Stations. Discover the convenience of Northern Indiana’s Commuter Transportation. Explore Windy City museums and Michigan Avenue shopping from Millennium Station; take in Notre Dame Football, and everything in between.